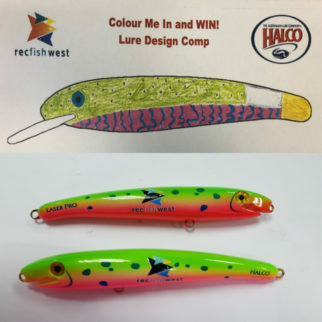 This year’s Recfishwest ‘Design Your Own Lure’ competition has had some of the funkiest designs entered to date with over 50 participants submitting their designs to Recfishwest and Halco for careful consideration! We’re pleased to announce this year’s winning lure design, dubbed the bubbly tiger – a bright and colourful design, master minded by 8 year old Sarah Stopforth. The laser pro 120 was the platform for this design, a tried and tested Halco model that has caught many fish over the year’s right across Australia. 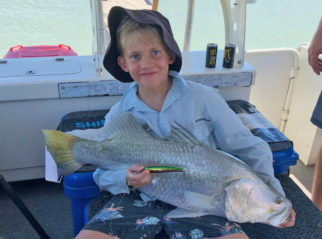 This lure is a jack of all trades, you can throw it from the beach for tailor or salmon, troll it behind the boat for Spanish mackerel or throw it among the mangroves roots for jacks and barramundi like Seth Marsden (9) did in Roebuck bay did with the 2018 Recfishwest lure. Sarah and her mother headed down to the Halco factory in Fremantle for a private tour with the lure experts. They got an up close and personal look at the secrets of lure design, lure artwork, graphics and lure testing in a tour that many fishers would love to experience themselves. 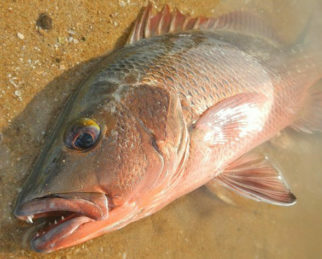 We’ve now seen five Recfishwest Limited Edition lures emerge from the fishers of tomorrow from children as young as 5! This is a lure you can’t get anywhere else in the world designed by the creativity of the next generation of fishers. So, how do you get your hands on the Limited Edition Bubbly Tiger? Join the thousands of current Recfishwest members and become a premium member! Or, renew your current Recfishwest premium membership with us. All renewing premium members will still receive the new Limited Edition Lure, but instead of receiving a T-shirt every year, you’ll receive a new member’s only drink cooler adding to your Recfishwest merchandise. We’ve like to thank everyone that entered this year’s competition, it was really exciting to see all of your creative designs! 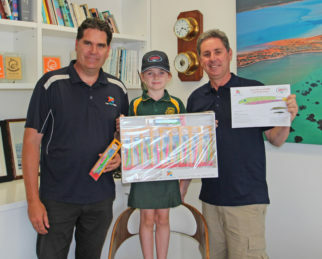 To design the 2020 Limited Edition Halco Lure, come and see us this year’s Perth Boat Show in September where there will be a variety of colouring pencils to let the next generation of fishers creativity run wild!